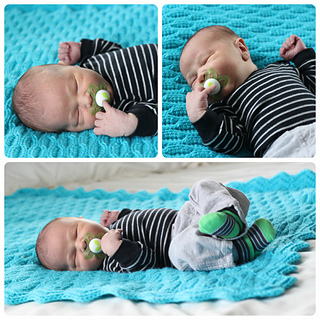 This beautiful square cot blanket is soft and squishy, with a tactile texture to appeal to adults and babies alike. The neutral stitch pattern is perfect for boys or girls, making it the ideal shower gift (or cupboard filler) for parents who are keeping the gender a mystery until baby arrives. With no little holes to trap baby’s fingers and toes, it is an ideal first blanket – though it is sure to get many years of use! YOU WILL NEED 800 m (875 yds) Aran yarn, 4.50mm hook and a needle for neatening ends. 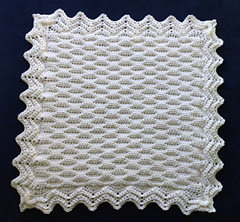 Quantities are based on a blanket measuring 70 cm (28”) square (inclusive of border). Instructions are provided for adjusting both length and width. When working to custom sizes, you should allow for an overall increase of 10 cm (4”) when border is added. GAUGE 8sts and 6 rows to 5cm (2”) in pattern repeat (Rows 3-6). 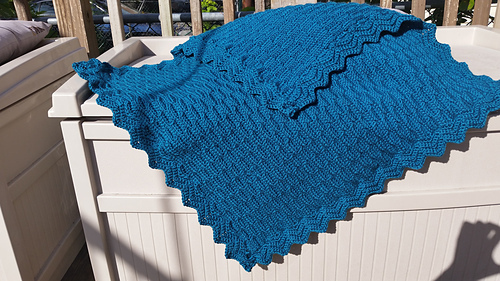 The pattern is available to download in both UK and US terms. The pattern is fully tested and includes photographs to assist with working the border.